Images from 3 days of racing at the 2019 Noquemanon Ski Marathon, including Junior Noque, Skijor, and Fat bike. Thanks to official 2019 photo sponsor: Velodrome Coffee of Marquette. Please feel free to copy and share images. Print and high-resolution digital files are available, and are delivered without branding. Please let us know if you prefer branding on those images. Photos by Jeff Wolf (JW), Matt Jewell (MJ), and Andy Gregg (AG). Thanks for looking! Images from 3 days of racing at the 2018 Noquemanon Ski Marathon, including Junior Noque, Skijor, Fat bike, and Snowshoe. Thanks to official 2018 photo sponsor: Velodrome Coffee of Marquette. Please feel free to copy and share images. Print and high-resolution digital files are available, and are delivered without branding. Please let us know if you prefer branding on those images. Photos by Jeff Wolf and Andy Gregg Thanks for looking! Images from 3 days of racing at the 2017 Noquemanon Ski Marathon, including Junior Noque, Skijor, Fat bike, and Snowshoe. Free image downloads courtesy of Blackrocks Brewery. Password: 51k Print and high-resolution digital files are delivered without event and sponsor branding. Please let us know if you prefer branding on those images. Thanks for looking! Photos from the 3 days of racing are available to view and purchase. Photos are arranged chronologically. While there are pictures of many racers from this year's Noquemanon, we did not have a crew to get photos of every racer this year. Order by February 13, and receive a 10% discount. At checkout, enter coupon code: NOQUE15. Images from the 12k, 24k, and 51k ski events are searchable by racer number. Images from the Junior Noque, Skijor, Snow Bike, and 10K Snowshoe races are not searchable by racer number, but are posted in chronological order. Please note that images on the website are low-resolution, un-adjusted files. Images are optimized, and have their watermarks removed prior to printing or electronic transfer. Digital images are delivered via email within 24 hours of purchase. Search for photos by entering a 4 digit (0007 instead of 7) racer number into the keyword search field. Thanks to photographers and crew: Charles Shafer Jason McCarthy Wendy Hill Manson Kristen Ferguson Andy Gregg Please note that images on the website are low-resolution, un-adjusted files, and that all images are adjusted for brightness, contrast, and color prior to printing, or electronic transfer. Order by February 8, and receive a 10% discount. At checkout, enter coupon code: noque14. Images from the 12k, 24k, and 51k ski events are searchable by racer number. Images from the Junior Noque, Skijor, and Snow Bike races are not searchable by racer number, but are posted in chronological order. Please note that images on the website are low-resolution, un-adjusted files. Images are optimized, and have their watermarks removed prior to printing or electronic transfer. Search for photos by entering a 4 digit (0007 instead of 7) racer number into the keyword search field. Thanks to photographers and crew: Renee Seaborg Wendy Hill Manson Ronen Zilberman Kristen Ferguson Roweena Langin Andy Gregg Please note that images on the website are low-resolution, un-adjusted files, and that all images are adjusted for brightness, contrast, and color prior to printing, or electronic transfer. Order by Feb. 13, and receive a 10% discount. At checkout, enter coupon code: noque13 Images from the 12k, 24k, and 51k ski events are searchable by racer number. Search for photos by clicking on the 'Search' tab on this page, and then entering a 4 digit (0007 instead of 7) racer number into the keyword search field. 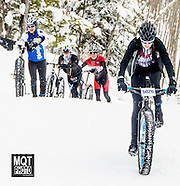 Images from the Junior Noque, Skijor, and Snow Bike World Championship are not searchable by racer number, but are posted in chronological order in their respective galleries (listed below). Photographers: Andy Gregg - AG, Renee Seaborg - RS, Wendy Manson - WM, Jason McCarthy - JM, Bob Mathews - BM Please note that images on the website are low-resolution, un-adjusted files, and that all images are adjusted for brightness, contrast, and color prior to printing, or electronic transfer. Images from the 12k, 24k, and 51k ski events are searchable by racer number. Images from the Junior Noque, Skijor, and Snow Bike World Championship are not searchable by racer number, but are posted in chronological order. Please note that images on the website are low-resolution, un-adjusted files, and that all images are adjusted for brightness, contrast, and color prior to printing, or electronic transfer.